in the last weeks in San Fernando we have strengthened our partnership with the local government while delivering the Training in Health, Hygiene and Prevention. We thought that we needed to target children more directly, above all those who are malnourished. We therefore linked up with the barangay’s Feeding Program, which started at Kito-Health last week. The program aims to increase the weight of malnourished children by supplementing their healthy food intake. 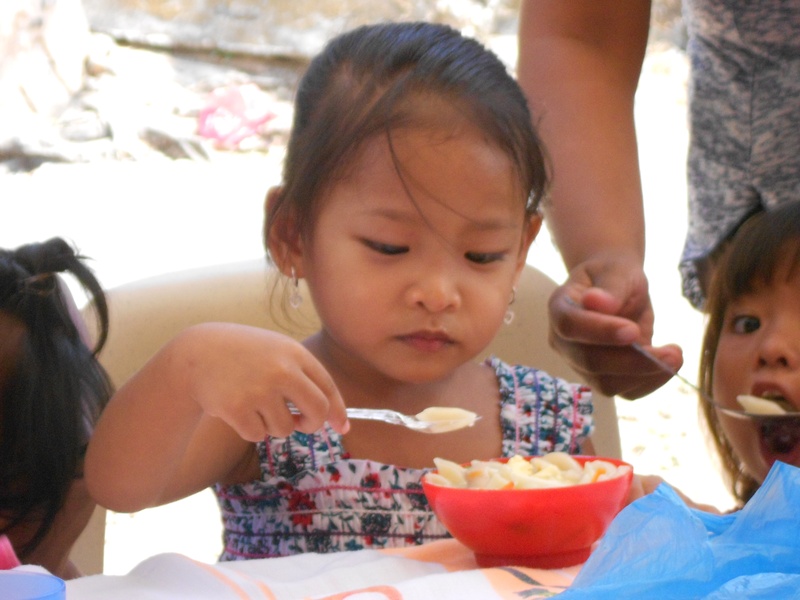 Through the Barangay Nutrition Scholar, malnourished children aged 1 to 5 years old are determined according to their Body Mass Index. Kito hosts this program where children as well as their parents are invited to come. This is a daily activity that will run for the next 2-3 months. The children’s weights are measured at the beginning of the program and are monitored every week. Menu included healthy food selection like rice and vegetables, arrozcaldo, champorado, binignit, and sopas. Sixteen children are beneficiaries of this program.